Atlus localizing February 2012-release smartphone port. Atlus is bringing the original Shin Megami Tensei, first launched for Super Nintendo in October 1992 in Japan, to iOS in English next month, the company announced. The game, which is a port of the 2003-released GameBoy Advance version, was released in Japan in February last year. This is the first time the game will be released outside Japan. Find a trailer and story synopsis below. Step away from clear notions of good and evil, right and wrong. There are demons in the world, but whether they are ally or enemy depends on player actions. In Tokyo 199X, a mysterious murder leads to the emergence of demons and an escalating global conflict thanks to the rise of a charismatic rebel leader in possession of a demon army, and external forces that wish to crush such threats with extreme measures. 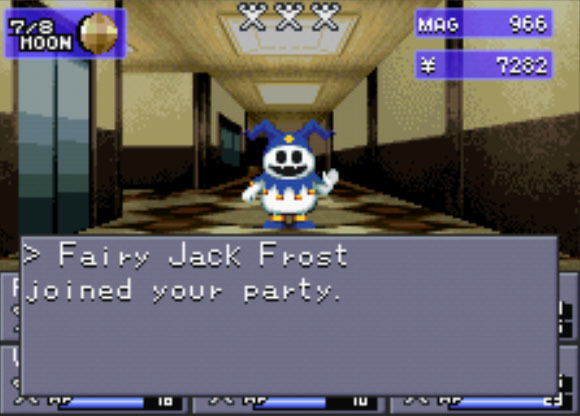 As the protagonist, players have an unusual ability (via computer program) to communicate with and recruit demons to fight for them. As they collect demons, the program will allow you to store, summon, and fuse them to create the right team to negotiate the ever-changing balance of powers, and fight for the kind of world you ultimately wish to live in.